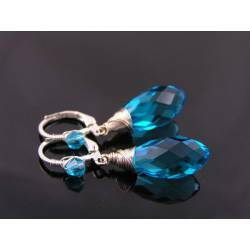 Gorgeous sparkling crystals wire wrapped to crystal set ear wires. 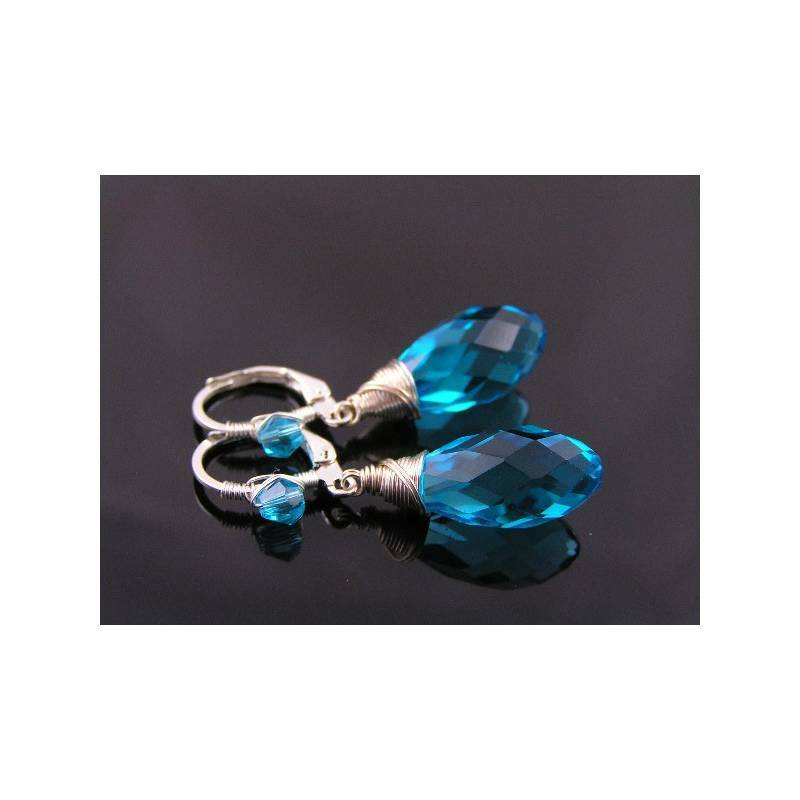 These are gorgeous, sharply faceted and therefore very sparkly crystals. They are a perfect size, large enough to be noticed, but never too heavy. 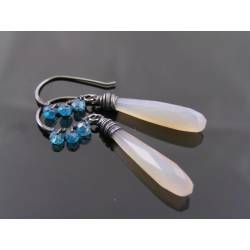 I have wire wrapped them to secure lever back ear wires which are also wrapped with a matching coloured crystal. These earrings will go with everything, they will be so comfortable you will select them day after day, to go out at night and even for your wedding. They would make the perfect bridal party gift because they are available in 9 colours and 10 metal options and they are very affordable. 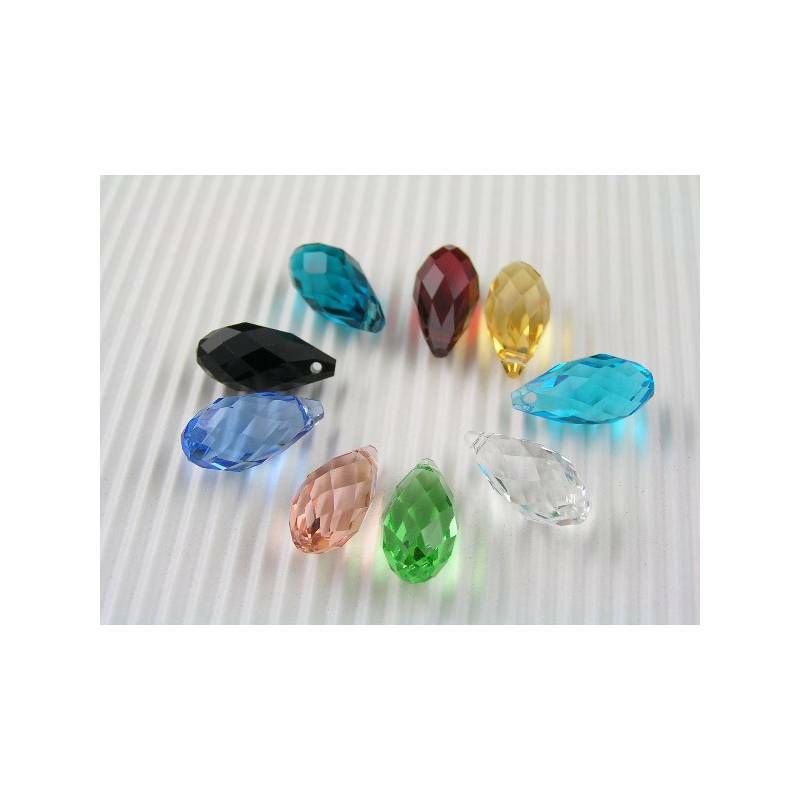 For the colour choice, please check out the 4th photo: starting from the black drop and going to the right, we have: teal, red, yellow, aqua, clear, green, peach and blue. Metal options are: silver tone, sterling silver, gold tone, gold filled, copper, copper ox (oxidised), brass, brass ox, sterling silver ox, bronze ox. The prices for these options vary, please contact me for a quote. Silver tone, gold tone and bronze ox are the same price so you can just purchase this listing, and leave the colour plus metal option in the note to seller. 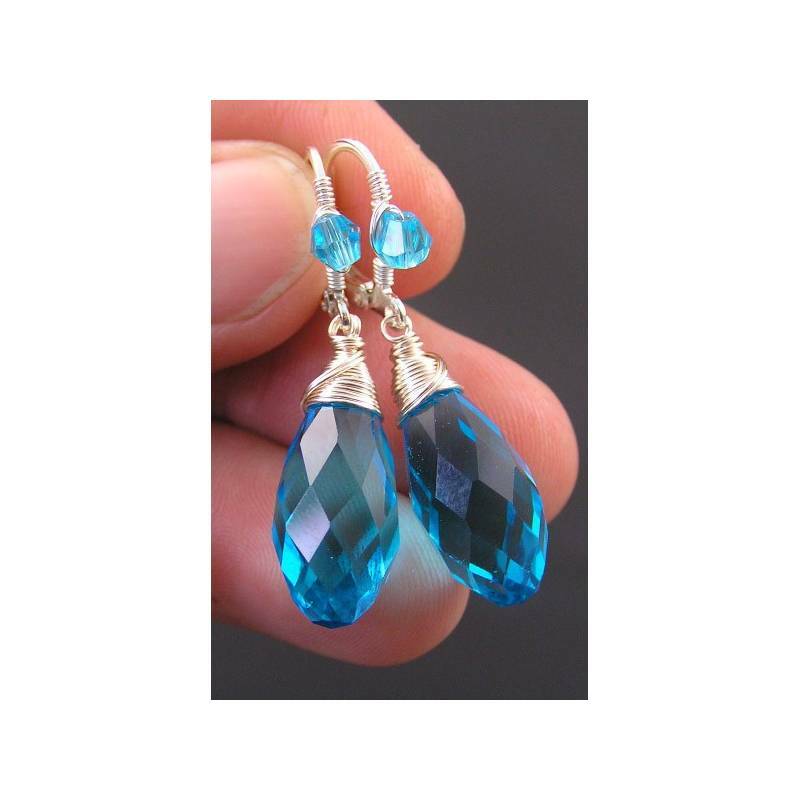 * This listing is for the pair of earrings in the first 3 photos. 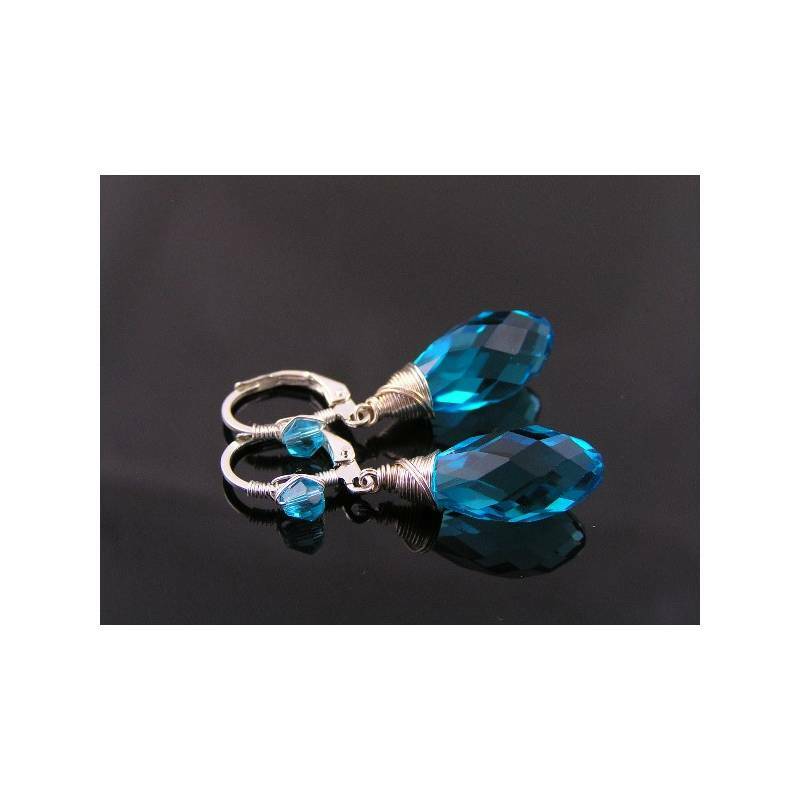 Silver tone fittings and aqua colored crystals. If you purchase this listing without additional notes, this pair is what you are going to get.